Once used for making maple syrup, this is a wood stove-heated cabin with electricity, but no running water. There is a small sauna room with a wood-fired stove that can fit 2-4 people. 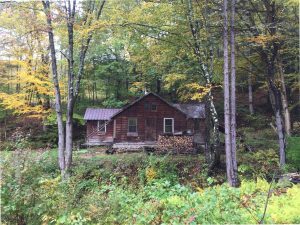 The Sugar House can be used for additional meeting space or lodging for those hardy folks that don’t mind a true rustic cabin experience in the woods. This cabin is offered as a bonus space when weather allows access. We cannot guarantee it’s availability and state during all weather conditions. It is not recommended for people with allergies.